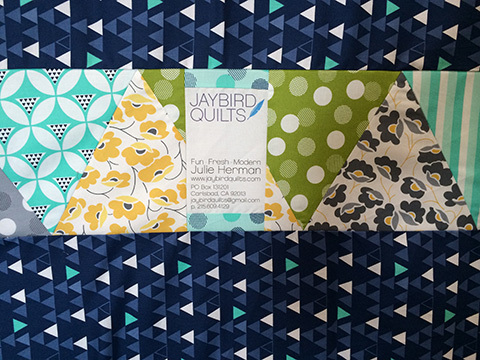 While developing the Stereo quilt pattern, I discovered that you would have some extra triangles. I decided they would make a great pieced row for the quilt back. 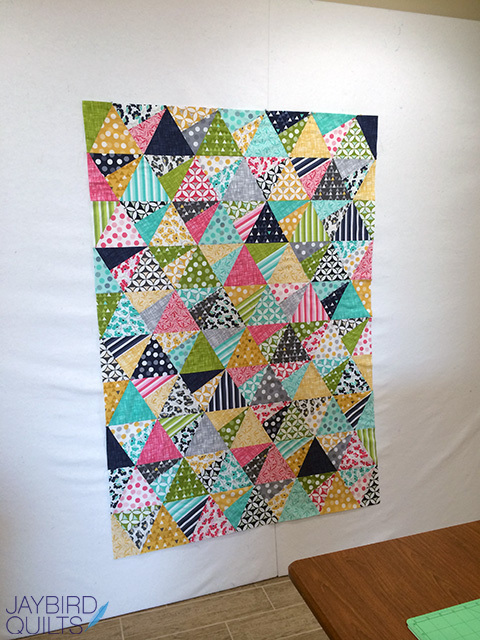 Here is step by step directions so you can make a pieced quilt back for your Stereo quilt too! 1. 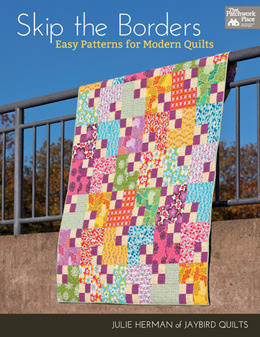 Start by placing your quilt top on a design wall or flat surface. 2. 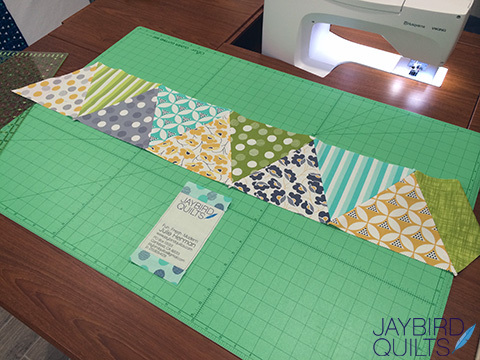 Cut a piece of your backing fabric at least 6-8" wider than your finished quilt top. Place it on top of your quilt top as shown below. 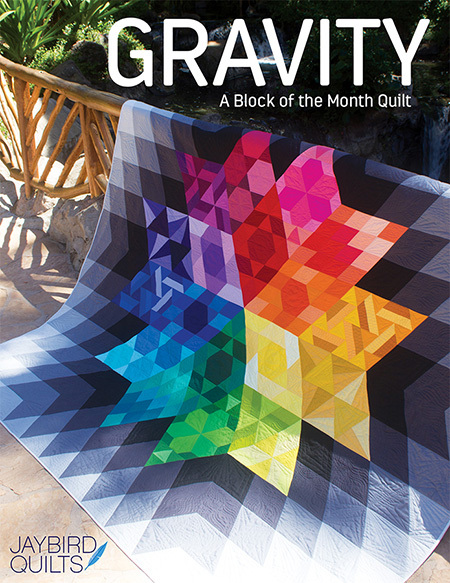 Make sure it is at least 4" higher up on the design wall than your quilt top. I always leave a few extra inches of backing fabric on the sides to give Angela some slack while working her quilting magic. 3. Cut another section of backing fabric the same width as the first. 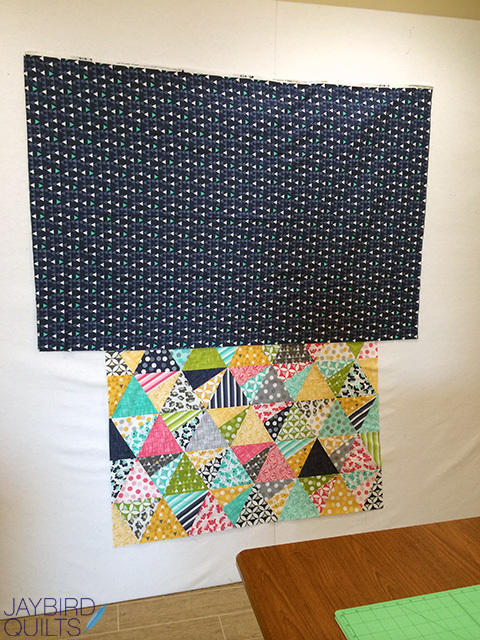 Place it on the design wall and leave a gap to add the pieced strip. 4. Next piece the leftover triangles together with a 1/4" seam allowance. 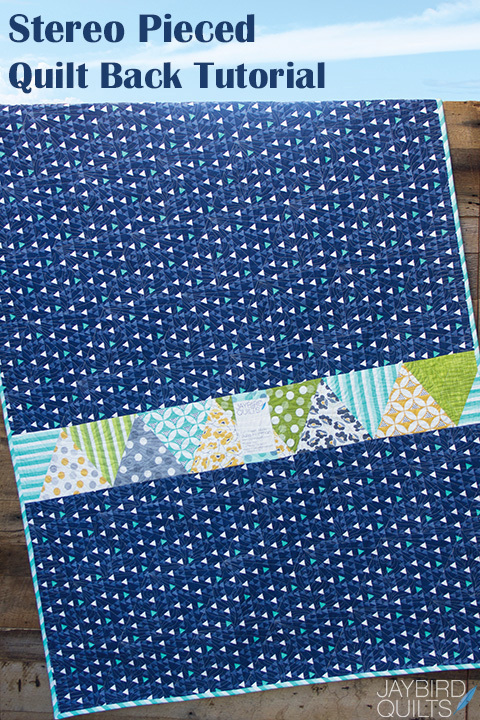 Skip steps 5-7 if you do not want to add a custom label into your pieced strip of triangles. 5. 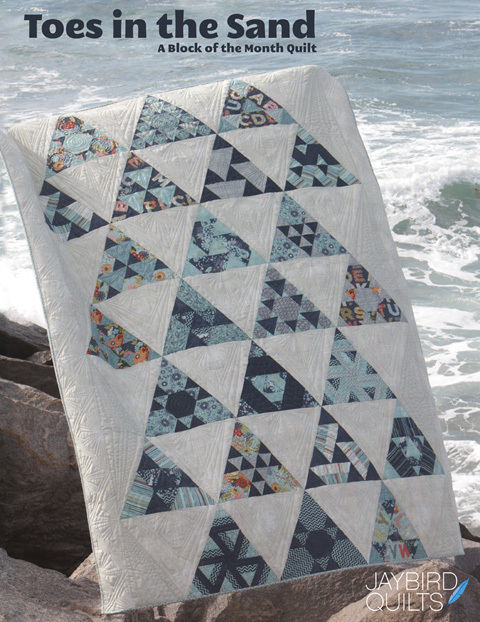 Now it is time to add a custom quilt label from Spoonflower to the triangle row. 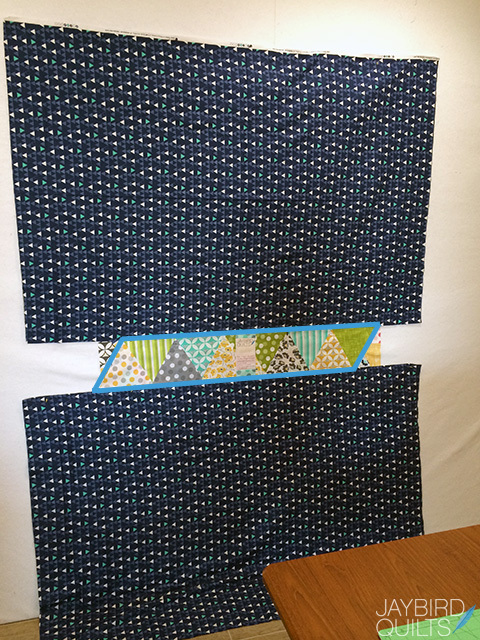 My pieced triangle strip was taller than my quilt label, so I added a strip of fabric at the top and bottom. Make any adjustments you need so that your label will have the same height as the pieced strip of triangles. 6. 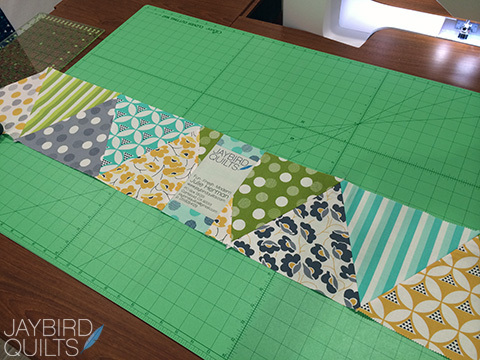 Make a vertical cut in the pieced strip of triangles where you want to add your label. 7. Sew the label into the strip with 1/4" seams and press away from the label. 8. Place the label strip on your design wall in the open space. You can see here that is is not wide enough to fill all the space. 9. 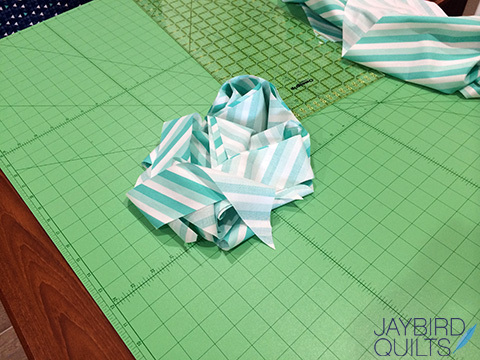 If you decide to use some of your binding fabric to fill the space, I highly recommend that you cut your binding strips first so that you do not risk using too much and not having enough to bind your quilt. Here is the pile of strips I cut for my binding. 10. 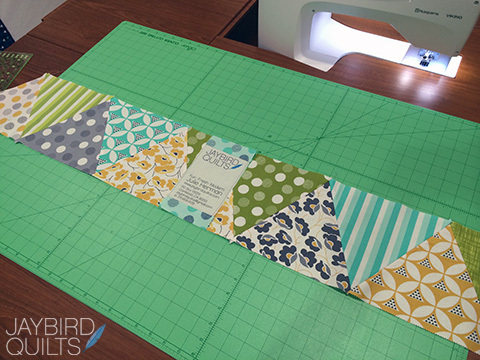 Cut strips wide enough to fill the spaces and use your Super Sidekick ruler to trim the one side so that it is at a 60° angle. 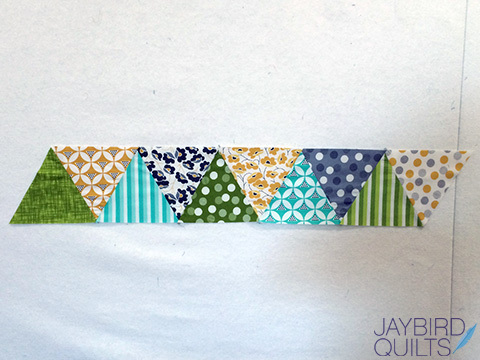 Piece these 2 sections onto your pieced triangle strip to complete the row. 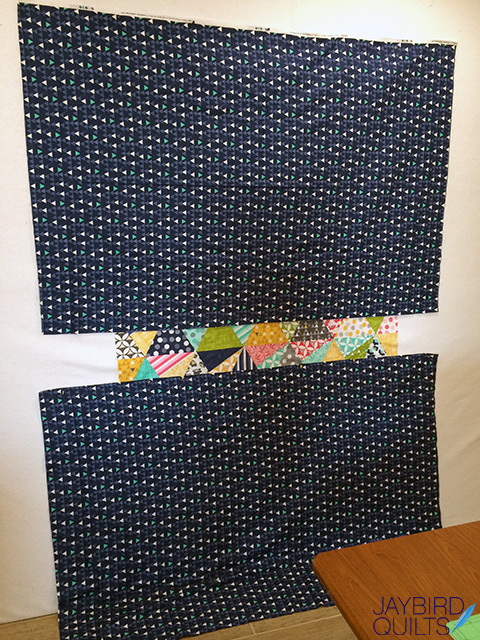 Finish by sewing the top and bottom sections to the pieced label strip with a 1/4" seam allowance. 11. 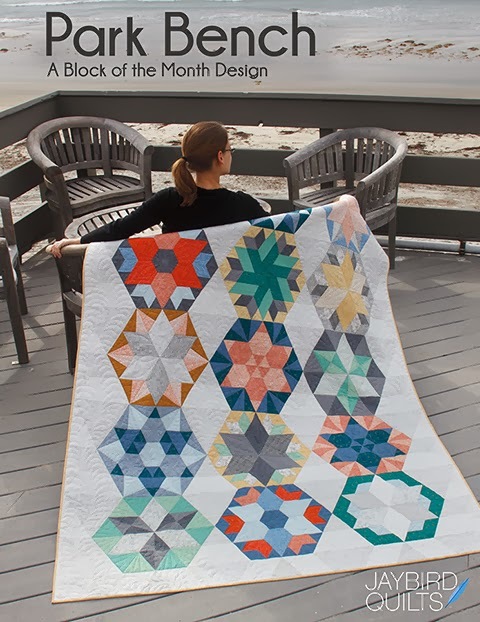 Pat yourself on the back for creating a fun pieced back to match your Stereo quilt! 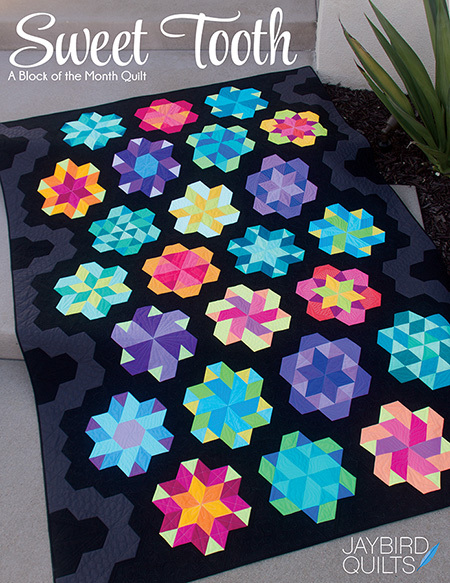 I hope you enjoy your pieced back Stereo quilt back as much as I love mine! I love this pattern and all the colors are gorgeous! It's beautiful! 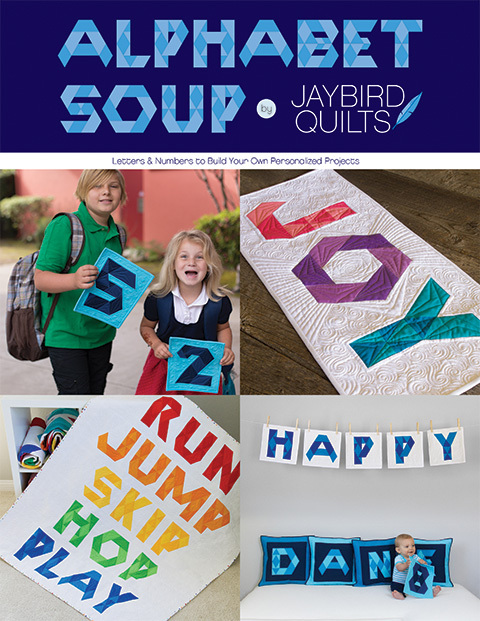 My pattern is on its way. Can't wait to make it. 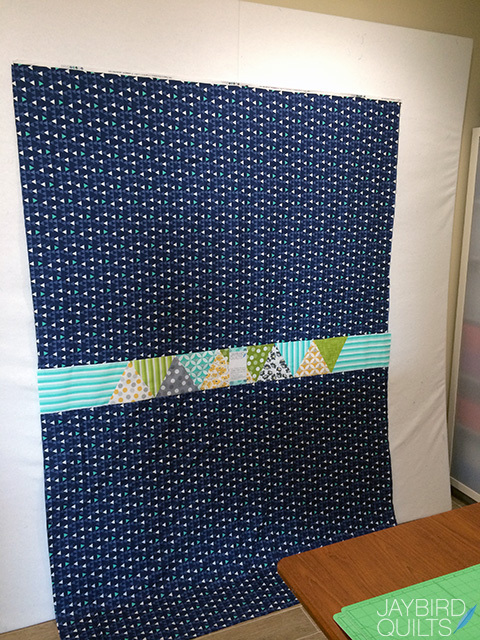 Quick question: Do you do anything special to make sure the row is lying straight in relation to the quilt front? I'm curious as to whether there is a good way to make sure it lines up right since you can't see it as you're quilting.